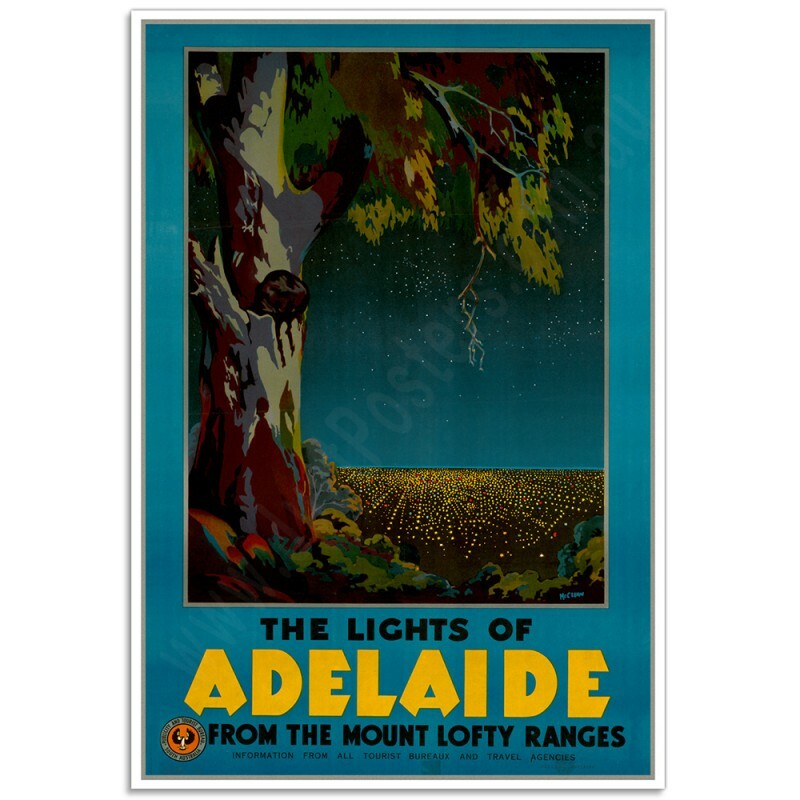 A stunning poster promoting Mount Lofty Ranges and Adelaide as a tourist destination, signed by the artist McLean and published by the South Australian Government Publicity and Tourist Bureau. 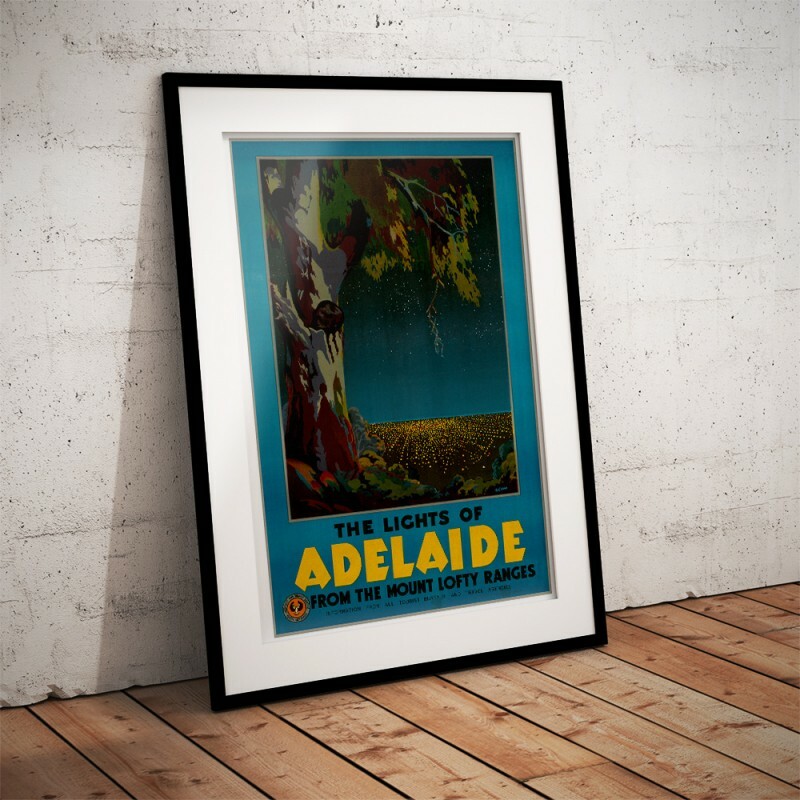 South Australia first established a Tourist Bureau in 1908. 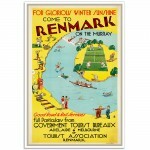 The Bureau was associated for many decades with the Department of Immigration. 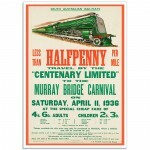 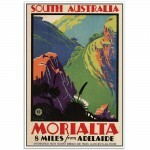 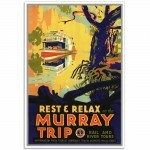 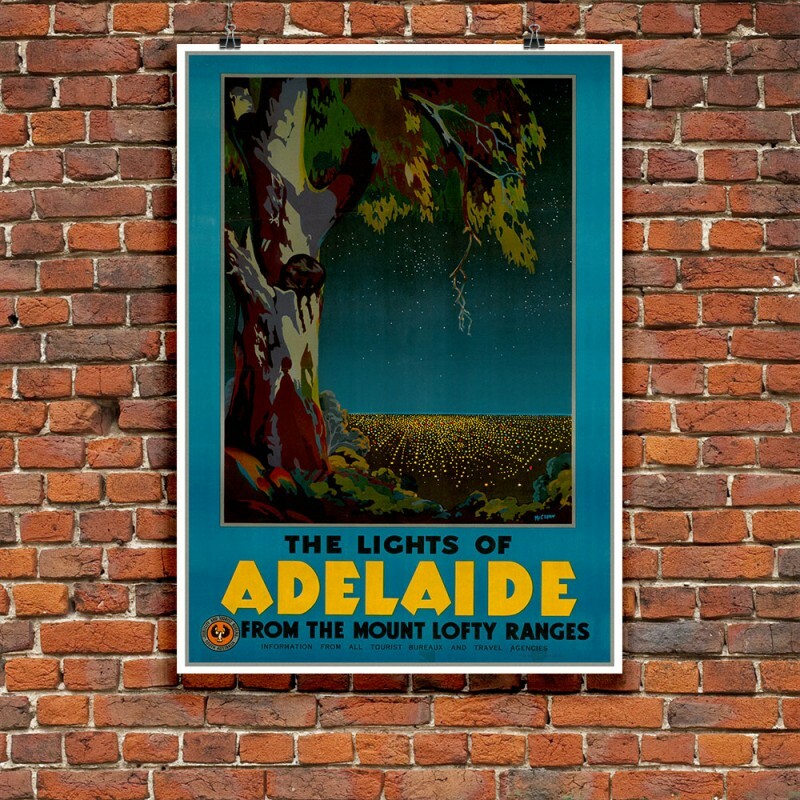 The South Australian Government Publicity and Tourist Bureau, during the 1930’s produced several significant travel posters highlighting tourist destinations in the state. 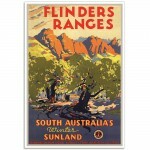 These illustrations were created during the 1930’s and 1940s and promoted the Flinders Ranges, the Murray River and the Morialta Conservation Park. 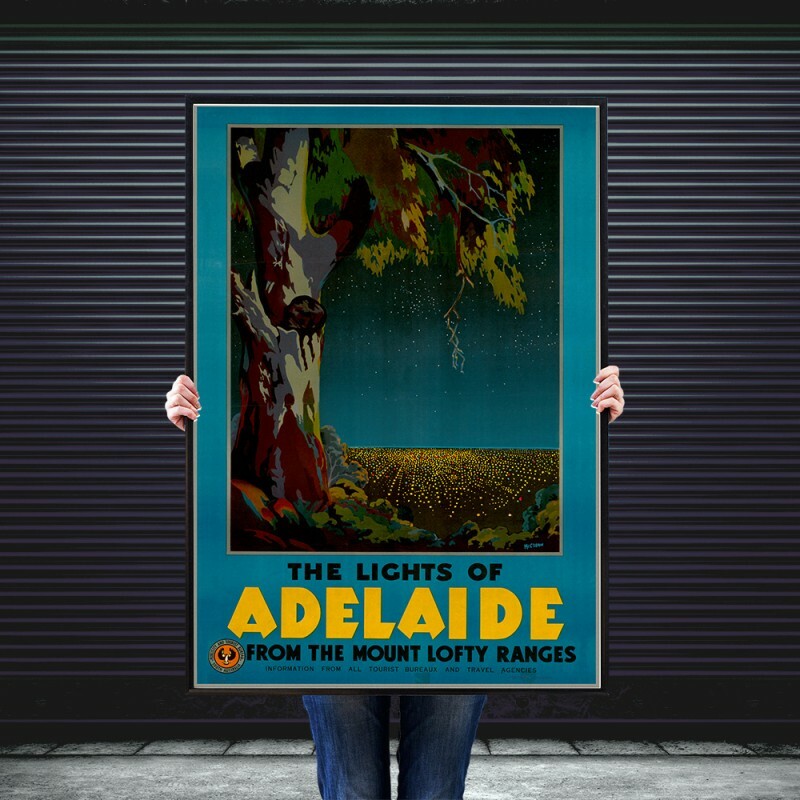 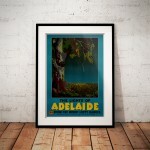 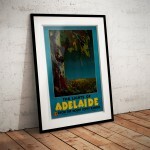 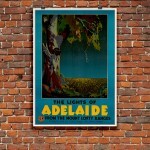 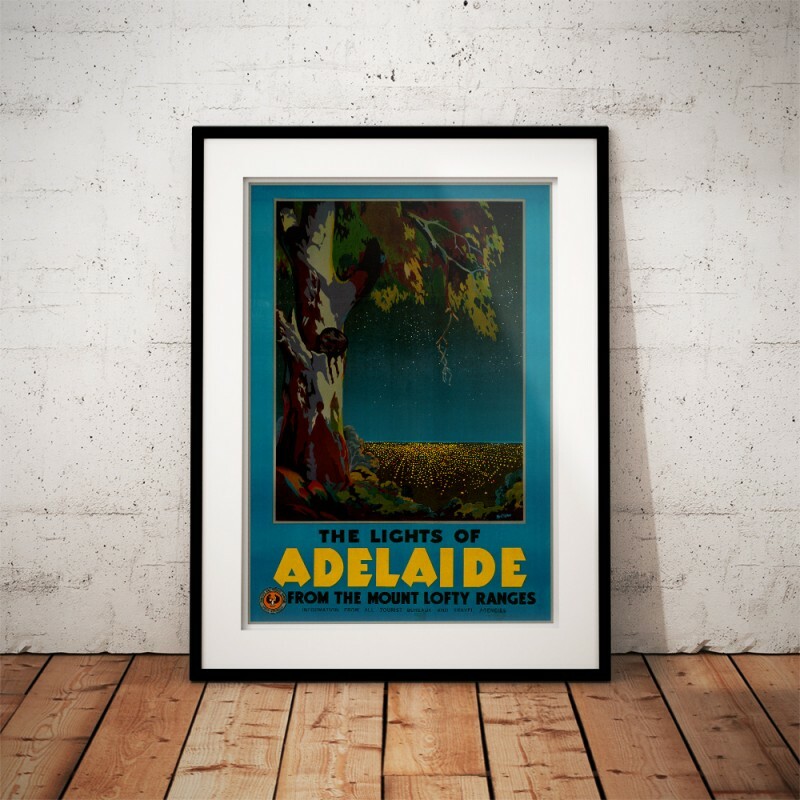 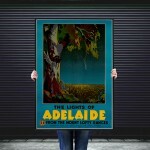 The 'Lights of Adelaide from the Mount Lofty Ranges' Poster has been created from an original poster.